(ATLANTA – August 7, 2017) – The RADCO Companies (RADCO), one of the nation’s leading opportunistic real estate developers, completed its fifth acquisition of 2017 with the closing of Indian Trail Apartment Homes in Norcross, Georgia. This is RADCO’s 71st acquisition since 2011, its 25th community in Georgia, and its seventh community in the Gwinnett County submarket. The 467-unit, Class B property has been renamed Ashford Indian Trail. Ashford Indian Trail will be proudly managed by RADCO Residential, the Company’s proprietary management platform. RADCO plans to spend over $9 million, or approximately $20,000 a unit, on capital improvements to modernize the community and reset its economic clock. RADCO financed the acquisition with private capital and debt furnished by SunTrust. Since August 2011, the Company has raised more than $500 million in private capital to fund its acquisitions, making it one of the largest private capital companies of its type in the nation. Ashford Indian Trail is favorably located in Gwinnett County. The property has direct access to I-85, I-285, and Steve Reynolds Boulevard, allowing commuters plenty of options to get to work, area amenities, and a direct route to Hartsfield-Jackson International Airport. Residents enjoy the convenience of being within minutes of large retail, including The Forum, Sugarloaf Mills, Gwinnett Place Mall, and the newly delivered Sugarloaf Marketplace. Additionally, the Georgia Department of Education has recognized the school district for many categories in 2016/2017, including their high school AP Honors List. Built in two phases in 1987 and 1996, Ashford Indian Trail is situated on 34.4 acres and consists of 26 two- and three-story buildings. Averaging 931 square feet, the spacious garden-style apartments offer a range of one-, two-, and three-bedroom floorplans. 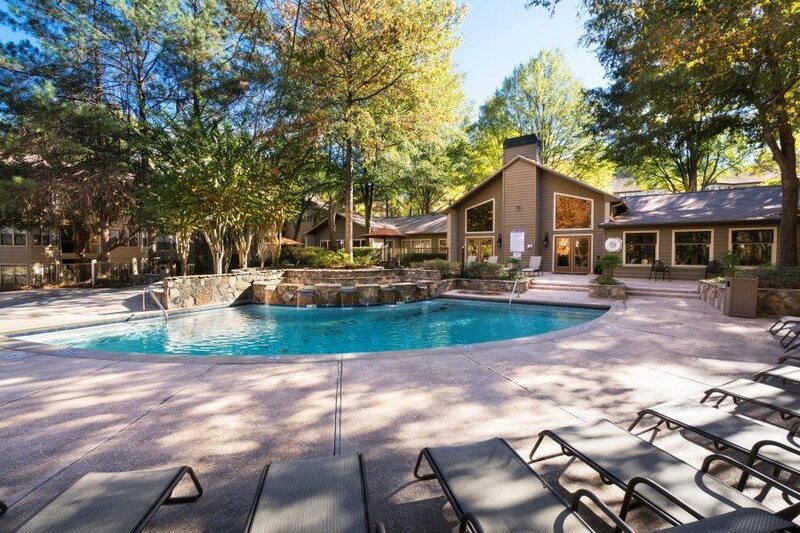 The community amenities include two swimming pools, a clubhouse, tennis courts, and expansive greenspace. RADCO plans to transform the look and feel of the property through significant building renovations, unit interior upgrades, and enhancements to common area amenities. Specifically, RADCO’s capital improvements program will concentrate on replacing the current cedar siding with new Hardiplank siding, as well as replacing all windows and 70 percent of the roofs. Interior renovations will include updated cabinetry, upgraded appliance packages, new flooring, modern lighting, hard-surface counter tops, and designer paint. Amenity improvements will feature a complete clubhouse remodel, the additional of a fire pit/grilling area, and upgrades to the community pools, fitness center, and dog park. RADCO also plans to initiate thoughtful landscaping and hardscape additions, along with exterior lighting upgrades, concrete repairs, HVAC and water heater replacements, updated signage, and a community-wide new and modern paint scheme — all of which will drastically improve the property and our residents’ living experience.